I have been a member of the lovely parenting blogging community for about 6 months now. Although I still feel very much a newbie I am enjoying reading many inspiring and thoughtful posts by more seasoned bloggers. So I hit upon the idea of putting together a Mindfulness inspired ‘Gratitude Log’ of a small selection of these blogs. I very much appreciate all the hard work that the hosts of the following ‘linkys’ put into making them such a success. I try to participate in these as regularly as my ‘juggling act’ of Mummy/Teacher/Blogger/Wife allows. I know that there are other great linkys out there, it’s just I feel loyal to these guys and can’t really fit many more into my life at the moment! I am so grateful for all the valuable comments that other bloggers from the linkys take the time to make too and it’s lovely when there’s a badge thrown in with any kind words too (like these two that I picked up for this post). 2. It’s also really lovely to be given the chance to have a post read by readers who don’t usually visit the blog. 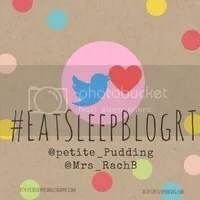 Recently I was lucky enough to guest blog for Zoe at www.petitepudding.com in her Newbie Blogger’s Showcase (read the post here) and have also taken part in Lynne at New Mummy Blog’s series called Mummy in Business. (interview available here). I was also extremely touched by the kindness o f the blogger The Mum Reviews when she wrote such warm comments about my writing style and explanation of Mindfulness in her #BlogToast post a couple of weeks ago. Similarly when Karen of Two Tiny Hands bestowed on me her fab Brand New Day Badge for this post it meant a lot as I really respect her views and the great blog documenting the fun her family enjoy (lots of the time outdoors!). Although A Brand New Day is no more, I regularly join her re-loved #FamilyFun linky. I’ve very much appreciated all the love that my #ThoughtsAreNotFacts post has been getting recently. 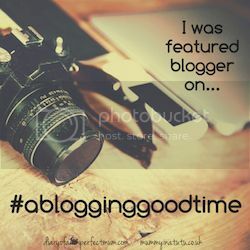 It was the featured post on #AnythingGoes and also on #GlobalBlogging with Meagan from The Mum Project and One Messy Mama. The post also picked up a #FamilyFun featured badge from Karen at Two Tiny Hands too! It was great to write for Mummy’s Gin Fund too as well as feature in Debbie’s from My Random Musing’s Spotlight post. 3. I am also full of gratitude for those blogs that help me when I am having a nightmare parenting day. Pearls of parenting wisdom don’t come much better than from Kate Orson. Her approach to dealing with children fits in very well with the mindful style of parenting and her timely reminders that tantrums and tears are all a natural part of our childrens’ development give me the reassurance that I need. 4. On a different note it’s great to have stumbled across the superbly written ‘What My Fridge Says’. The posts are highly original, reflective and our lovely (and as far as I can work out anonymous) writer comes across as a a very self-aware and genuine lady. Oh and this blogger has a penchant for all things mindful, as well as being a teacher too. What’s not to like? 5. Talking of Mindful Bloggers I’ve really enjoyed reading other blogs by people who have written positively about their experiences with Mindfulness too. Charlotte at PetiteWords is one such blogger who writes an uplifting blog full of sensible advice to keep us on a positive path. Liz at Parenting Calm also blogs beautifully about Mindfulness and family life and Rachel Hawkins who keeps the blog ourrachblogs.com is an advocate of Mindfulness, writing frank and thought-provoking posts about a number of topics including mental health. So there you go, some of the blogs that I am very grateful to have come across during my short time maintaining my own little bit of the internet. I’d love to hear who you would add to your own (Gratitude) Log of Great Blogs. I really am super grateful to be included, it’s always a wonderful feeling when people say they like your blog, but even more to know I’m inspiring even an inch of positivity! Thank you!